We were soon at the Hq and i landed the bird in the front of the hideout this time. I looked back to see where Raita had gone but she wasn't there anymore. I figured she went back through her door which i had found the first time. I was amazed by the place. It was like a huge cave. 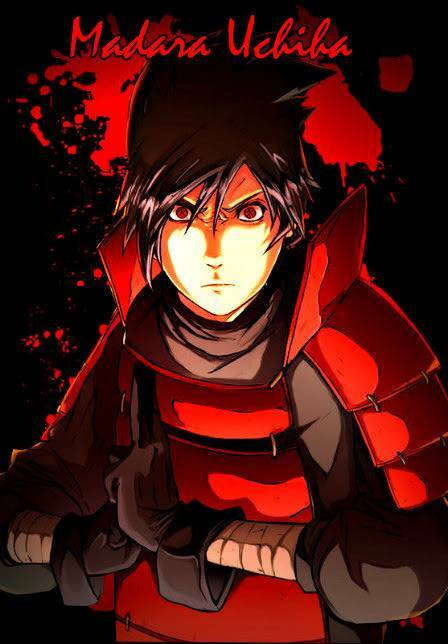 I stayed close to Deidara but I still looked around my surroundings. I had disappeared before we had ever landed and went back to my usual entrance so i was not to be seen. I hopped things would go well for Deidara since he was back. I was still amazed that Deidara could live in such a dark place. It was dull and cold. It makes you wonder what his life was like living here all alone. When Yori and Deidara reached the full inside of the Hq a voice could be heared from nowhere. "Deidara-sanpai!!!!!!!" It yelled tackling him. "Tobi missed you so much Senpai, Tobi was saaaad!" He said now rubbing his mask on Deidaras face. I was shocked for a moment, then I couldn't help but laugh. This was the funniest thing I've ever seen since I saw Deidara for the first time in many years and he comes back looking like a girl. I was suddenly tackled out of nowhere by the devil himself my worst nightmare. "Tobiiiiii GET OFF OF ME UN!!!!" I screamed at him trying to crawl away. I continued to laugh until I saw that this "Tobi" person wasn't going to let go at all. Now I had to help Deidara by prying off this grown up child. I tried and tried, but the "kid" was too heavy for me. 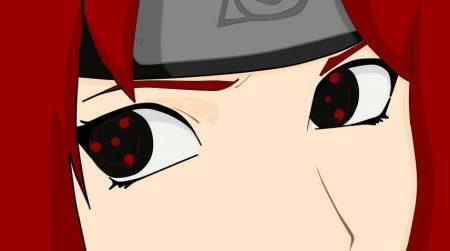 "Dang Deidara what are the Akatsuki feeding this kid!?" I yelled as I struggled to get him off. I was still digging at the dirt floor trying to crawl away. "I don't care Tobi un!" I said finally i managed to get free and crawled away from him..
"God your stronger than you use to be un..."I mumbled. "Tobi always strong Deidara-sanpai slacks off so he gets weak." Tobi said wagging his finger at Deidara. "Tobi Had to take down the Three-Tailed Turtle Demon all b him self Deidara-sanpai was lazy." Tobi said with a nod. "Really?" I said as I looked at Deidara in amazement of his laziness. "I wouldn't know if that's true or not, after all, I wasn't watching him everyday like he did with me." I said as a way of poking fun at him like I did when he and I were kids. Miharu closed her eyes while she had sitting there as soon she fell into a deep slumber. She had not woke up until 3 hours later after her small nap, until further she had awoken from the sound of moving feet. She moved from her spot but in a very slow paced manor, scanning the area for any signs of trouble. I looked at Yori and shook my head. "No, un. Thats not true! "I then glared at Tobi for making me look bad. I then walked over toward the door of the Akatsuki. I kind of felt bad now since Deidara just left the room. Knowing him, he would've beaten up this Tobi person. Since I was new to this place, I didn't know whether it was safe to look around or not, considering that this is a place for criminals. I walked back to the entrance relizing i had left Yori there alone in the mist of my anger. This place wasn't safe for her to be alone. When i got back i grabbed her arm and looked at her with a strieght face. "Don't wander off un..." I said pulling on her arm slightly to come with me. I was a bit irritated by the grip he had on me and how he dragged me around this place as if I was a dog. I wondered where he was taking me in the first place but said nothing since even I knew this wasn't a safe place. I had wandered around the hallways and finally came to a room. I opened the door seeing cobweps and dust everywhere but it was just as i had left it. "Welcome to my room un..you'll be safe here yeah." I told Yori. I began to clean things up slightly. I looked around and noticed a lot of small figurines that he probably made out of clay. I wondered whether they were explosive or not. I then thought for a moment about the situation I'm in and asked, "So am I going to be living in your closet from now on or something?" I asked this only as a joke even though it was spoken outwards in quite a sarcastic manner. I looked over to Yori and sighed. "Do you always have to be like that un?" I asked walking over to a couch i found a while back. I dusted the thing of and layed on it. "You can have the bed yeah?" I sighed and responded to him, "Look, you don't have to give me your bed if you don't want to. You don't need to give up things for my expense." I was stating that I didn't want to be a burden on him and that he should know that by now since we've known each other when we were kids. I looked over to yori as i throw myself at the couch next to me. "I know, un.." Was all i said. I then placed my hands behind my head and looked up at the ceiling thinking about my past. How everything went wrong. I hand't even wanted to join the Akatsuki. I just stared at him with a serious look for a moment, then sat on the bed thinking about this entire day. I was now a fugetive in my village, and I'm also living with a criminal who was once my best friend. Eversince that day I was alone in the world. I didn't even know where I was truly from. I knew it wasn't the Rock village since I heard that I was found in some ancient village that was considered an dead one. I couldn't really fit in at the time, so I tried once in a while. I even let my hair grow to look more lady like, but I then saw no point in it and cut it back to the old style I always had. I never expected Deidara to let his hair grow, too. The thought of that made me giggle. I looked over towards Yori hearing her giggle slightly. I kept silent for a few monents the spoke. "Whats so funny over there, better not be making fun of my art yeah?"